The English summer is notoriously unreliable. It can be sweltering, stifling, and "oh, it's almost too hot" one minute, then grey and miserable the next. 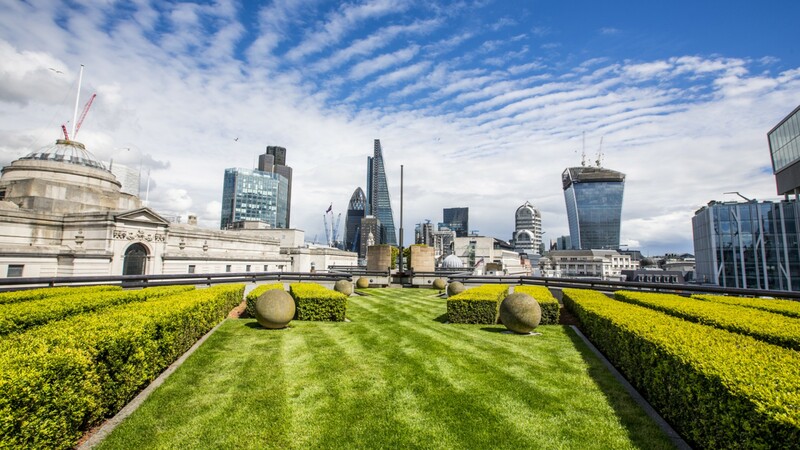 Despite the best efforts of meteorologists all over the world, it appears quite impossible to predict how exactly long the fickle British sun will keep his hat on. So, what are you waiting for? 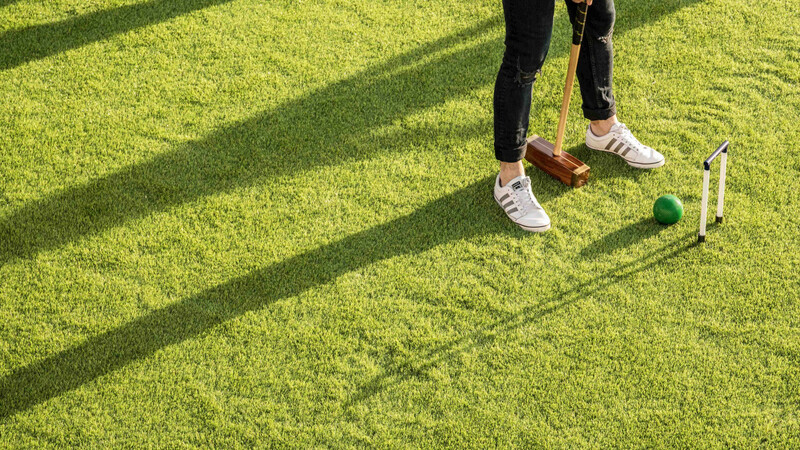 Don't let your summer dreams be ripped at the seams: get out there and make the most of the good weather while you can. After you've finished reading the rest of this, that is. 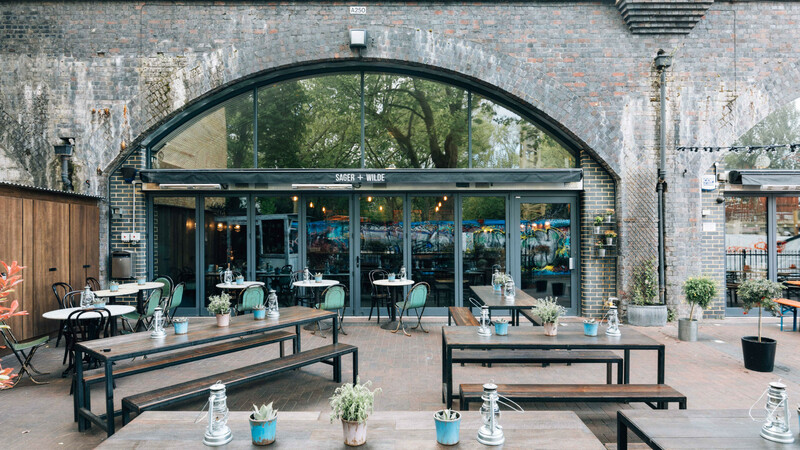 Nestled underneath an old railway arch (this is East London, remember), Sager + Wilde on Paradise Row is the sort of place where you can comfortably steam ahead for an entire summer's day. 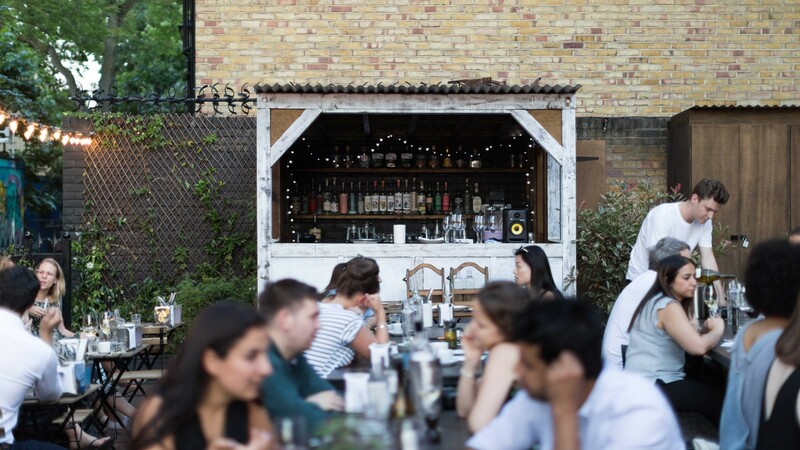 The restaurant and wine bar's courtyard terrace provides an ideal location for you to quaff your way through Noble Rot's extensive wine list and sample the local, seasonal fare it has on offer. And it doesn't get much more seasonal than plates of fusilli with dandelion and spenwood pesto. 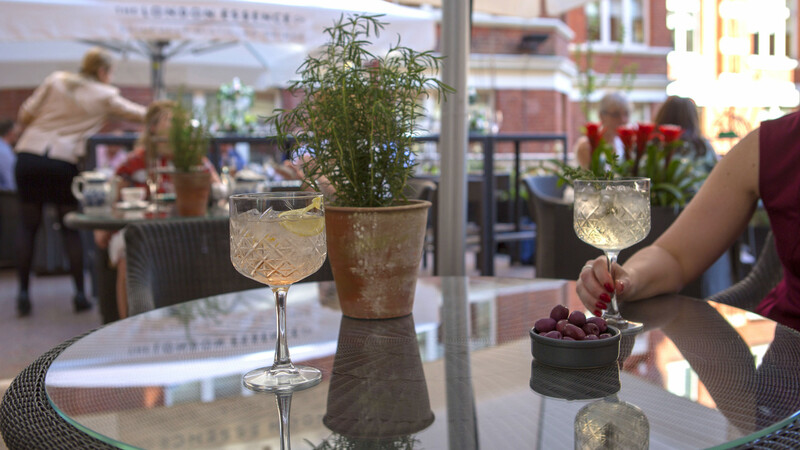 Pair that with a Nettle Collins and you'll practically be consuming the entirety of the British countryside; all from the comfort of a cobblestone street. 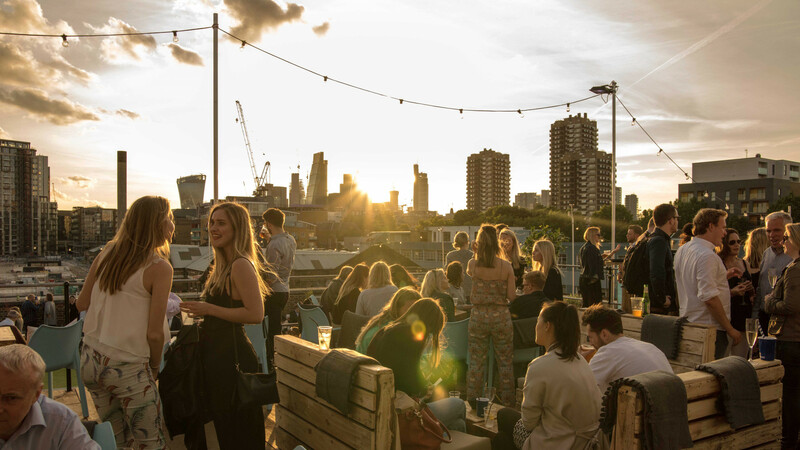 While it doubles as an ice rink during the winter, Skylight London is an equally suitable venue for enjoying the warmer months of the year. 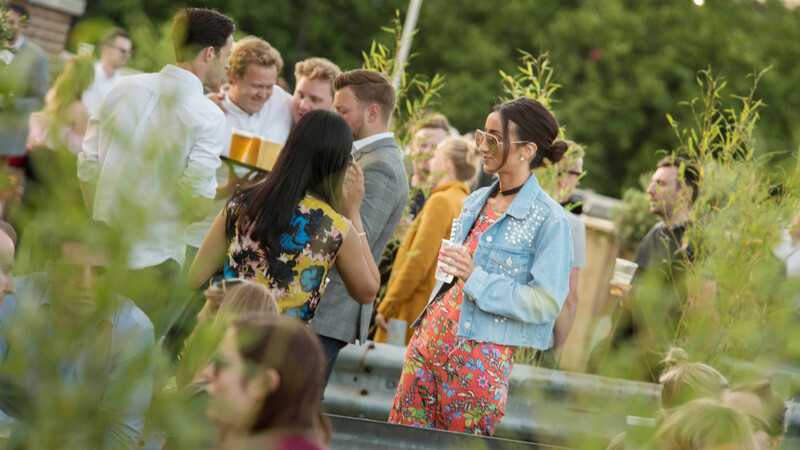 The former car park, located at Tobacco Dock, has announced that its summer season will start on 3 May, when the ice and skates are replaced by grass and games of croquet. 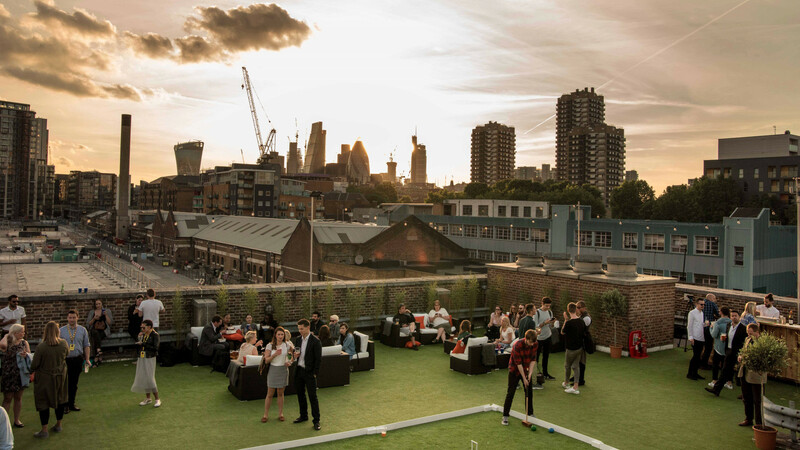 Life doesn't throw up many opportunities to play pétanque on a rooftop with a picturesque view of London's skyline, so we'd recommend taking this one while you can. 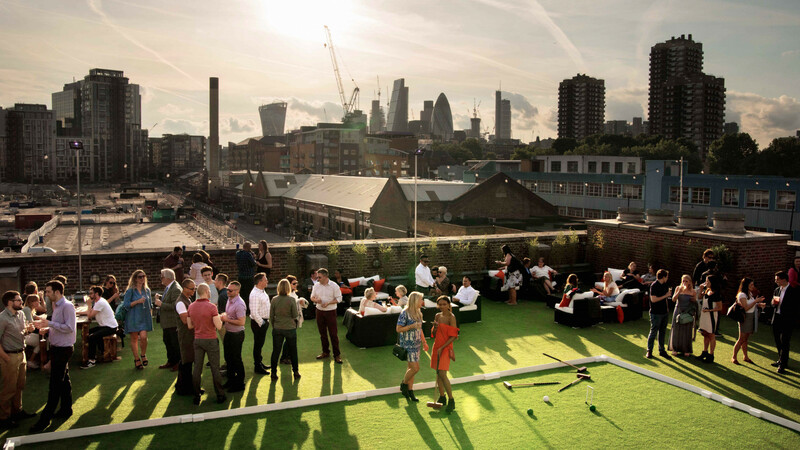 Even if lawn games aren't your thing, a range of street food and bars are also around to keep you satiated in the sun. 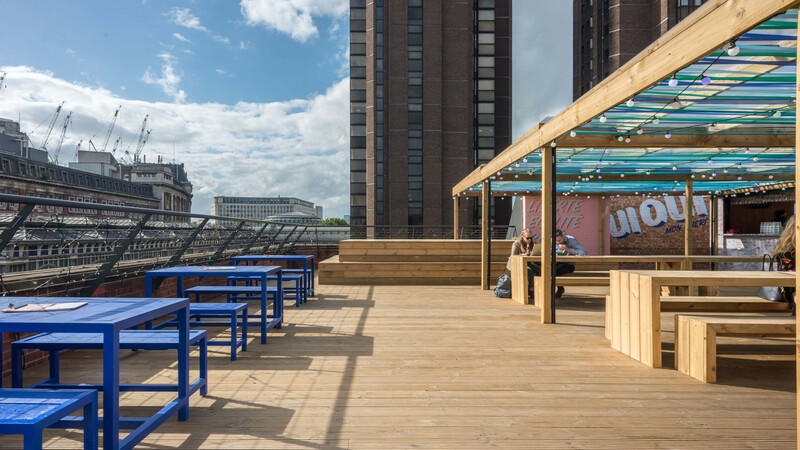 There's good news for pickle lovers this summer as Piculper has brought its brand-new shiny, briny self to The Culpeper Rooftop. 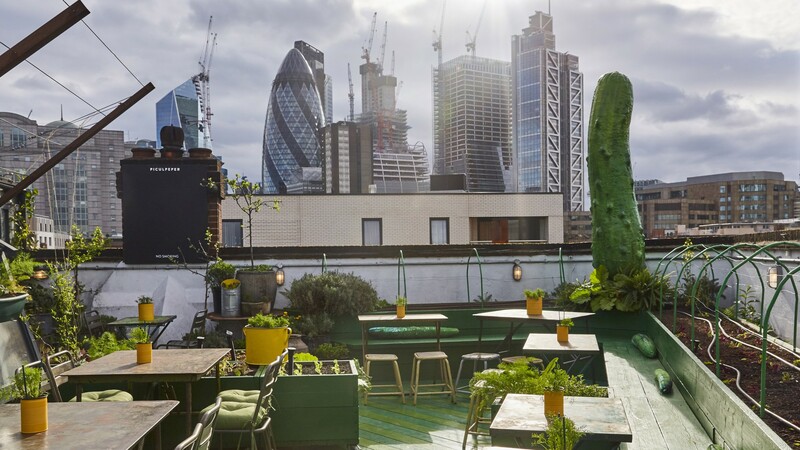 A collaboration with London-based Studio Stilton, The Culpeper's rooftop has been transformed into a sky-high pickle shrine. 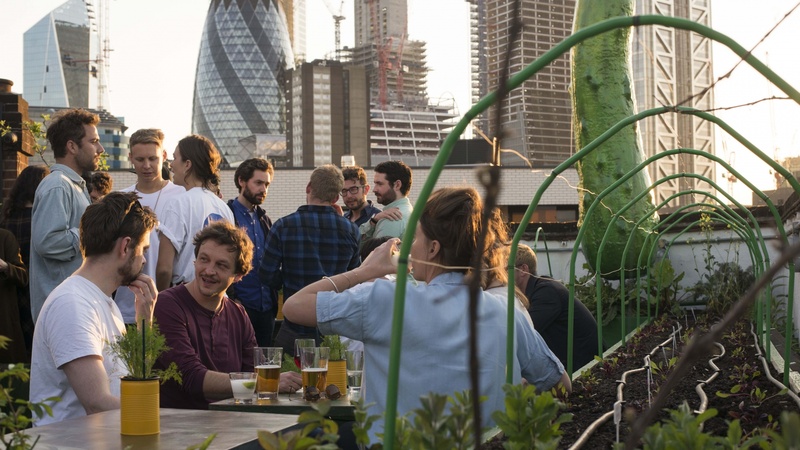 Blessed with an 8ft gherkin installation, surrounded by a garden of 13 different growing cucumber varieties, the Piculper is the perfect place to revel in the good weather. Dishes like the mackerel, fiery pickled beetroot and lemon and mezze platter are suitably pickle-inspired (and suitably mouth-watering). 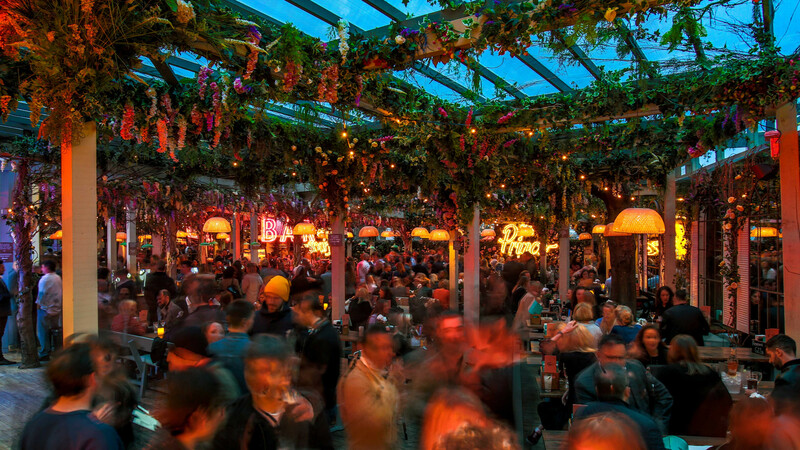 A host of refreshing cocktails are also available. However, we'd personally recommend going for the Pickle Back: a shot of liquor followed by a shot of pickle juice to wash it all down. The name is a bit of a misnomer, really. 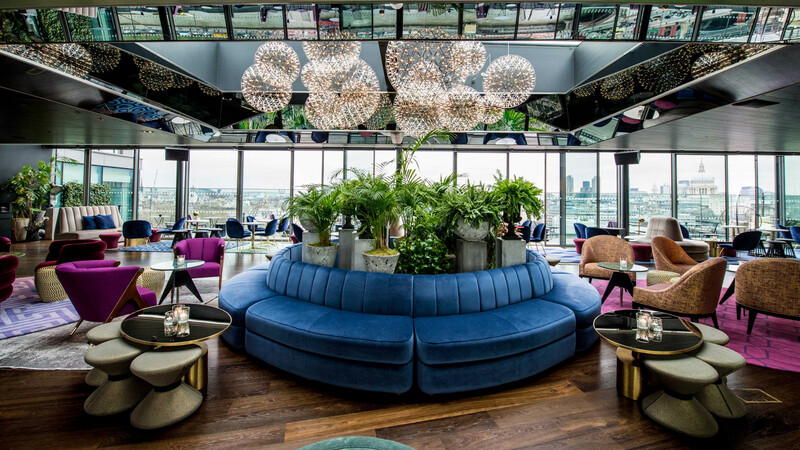 Because the Rumpus Room is far more than just a room – it's a geographical anomaly that blends together the best of British and American culture. 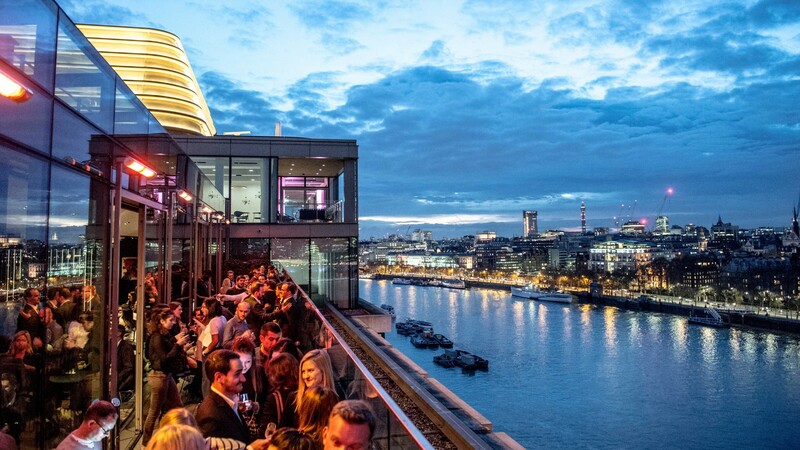 The bright and buzzing rooftop bar, situated at the South Bank, is close enough to the river for you to enjoy that traditional sense of maritime spirit, but not close enough that you'll actually get wet. 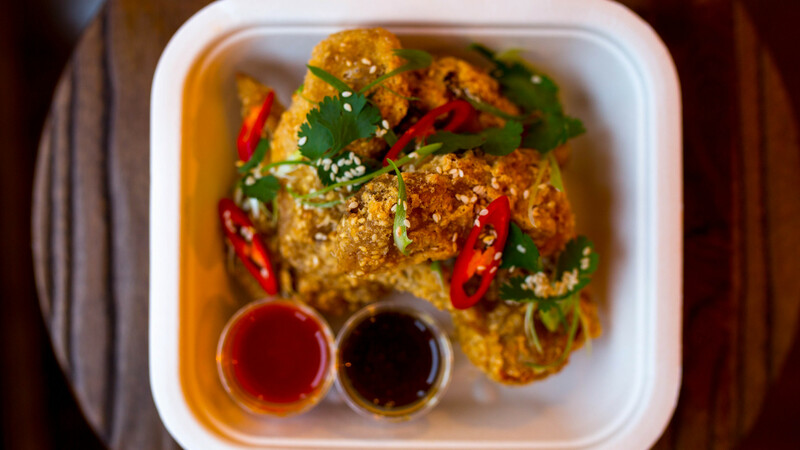 With summer fully in the swing of things, British-American-inspired serves like 'Thanks a Tot!' 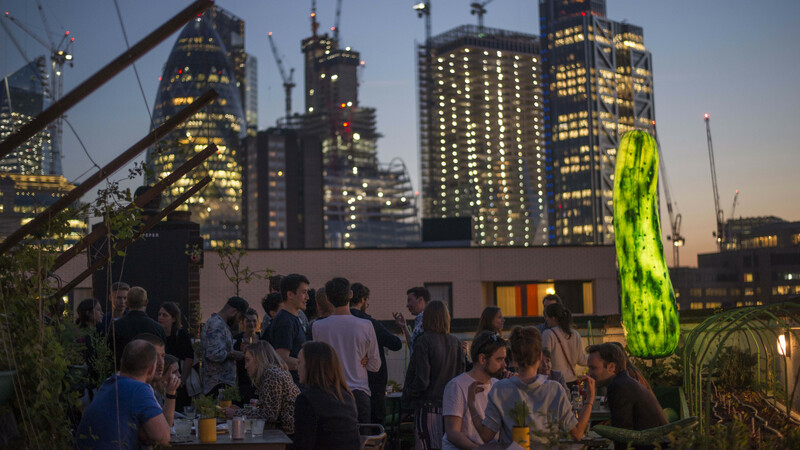 will remind you of all the perks of living in London. Perks like: great cocktails, for example. 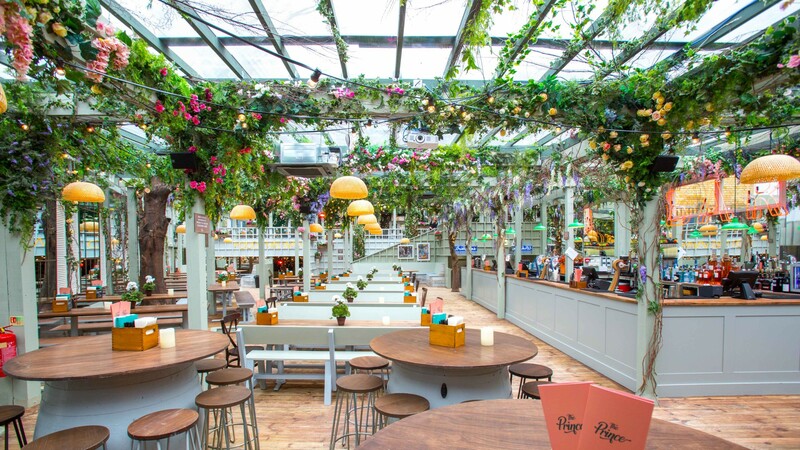 And as you chomp down on a New England lobster rolls, your sunburned skin bearing an uncanny resemblance to the crustacean you're consuming, you'll be hard-pressed to find a problem with good ol' Blighty. You know what London needs more of? 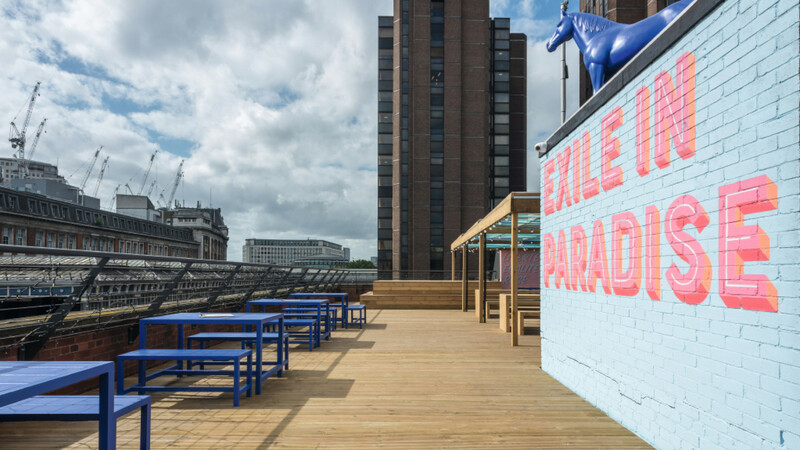 Napoleon Bonaparte-themed rooftop bars. 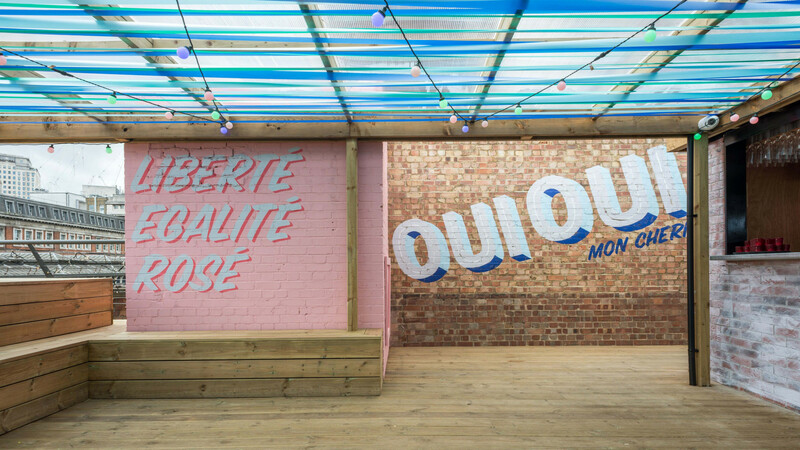 And while you might not have guessed it from its pastel coloured aesthetic, Bar Elba is, in fact, one such watering hole. 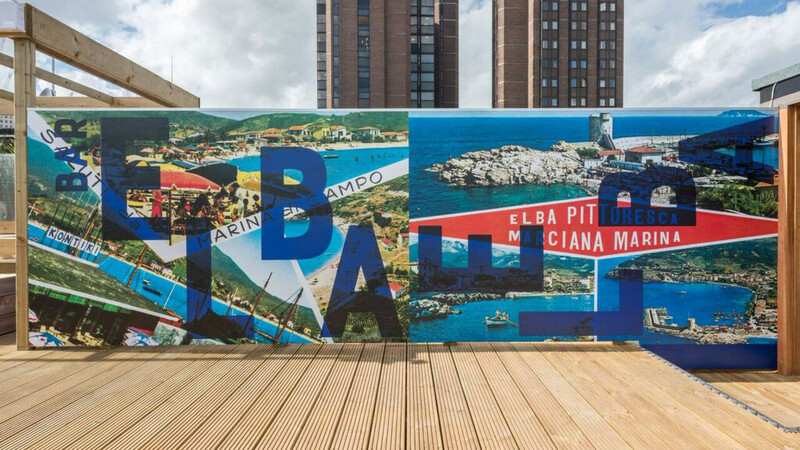 Named after the Mediterranean island that Napoleon was exiled to for 300 days, Bar Elba aims to bring a party island atmosphere to Waterloo. And it works. 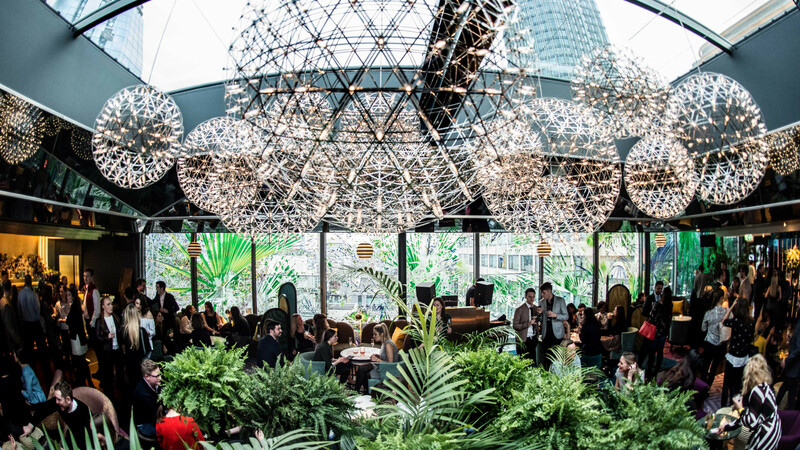 Although we're skeptical about the authenticity of Bar Elba's Napoleon 'Born-to-party' history lesson, something we're definitely agreed upon is how much fun Bar Elba is. Killer grilled cheese sandwiches and burgers provided by gravy generals Dip & Flip Burgers are about as far from military rations that you could get, and the army of effervescent big-jug Cocktails are a guaranteed path to fun times. 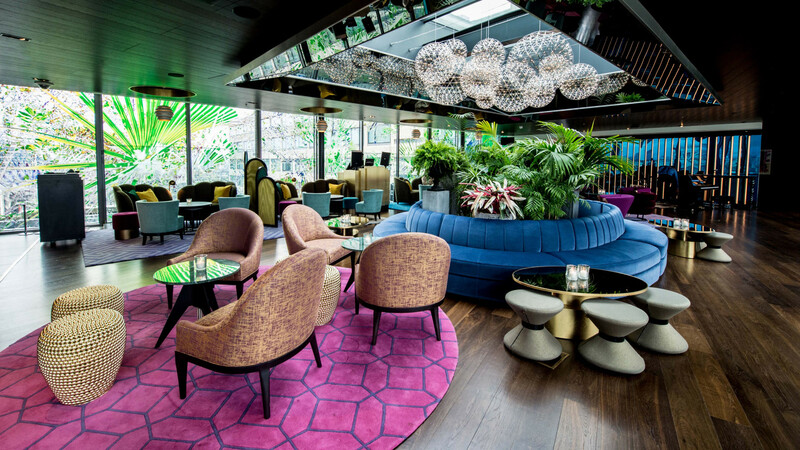 Whether you're up for a shot of Skittles-infused vodka or a bottle of Dom Pérignon, there's something for everyone at Bar Elba. Apologies to the vegetarians out there, but grilled meat and the summer were just meant to go together. 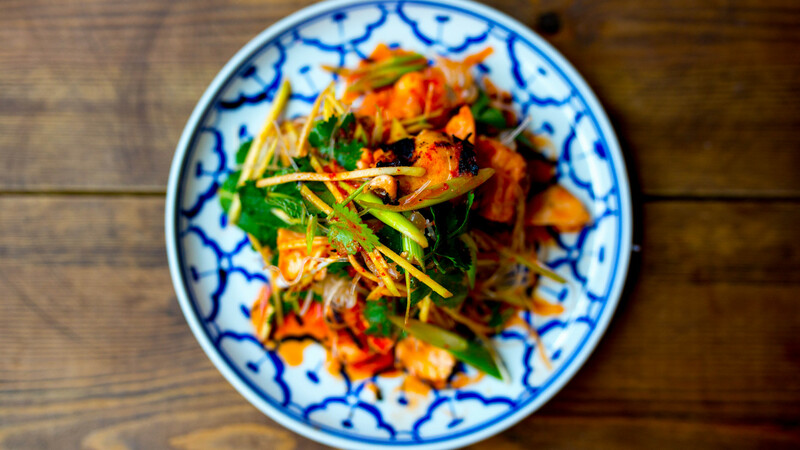 There's something magical about that combination of charred animal and the irrepressible heat of the sun that a salad simply can't match. Unfortunately, the reality for most of us meat lovers is that any attempt at grilling typically ends in simultaneously over and undercooking an entire pack of cheap sausages. But what if you could avoid all that? 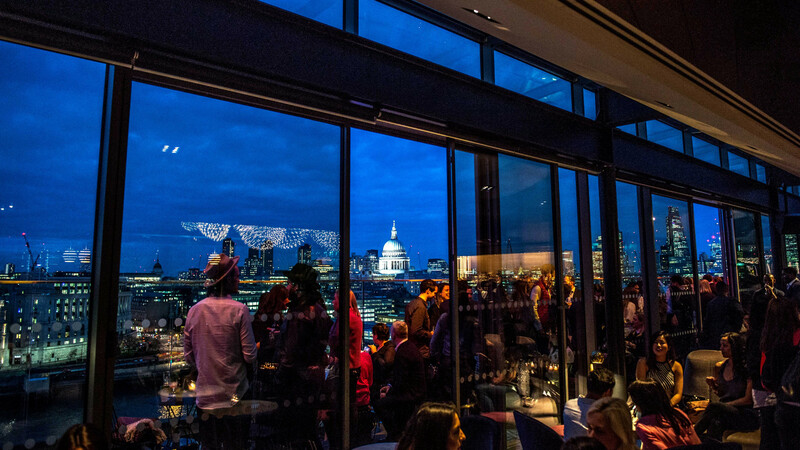 What if you could enjoy a 50 day dry-aged Sirloin steak, served on the bone and cooked to perfection, all while gawping at a pristine panorama of the city you call home? Well, you can. 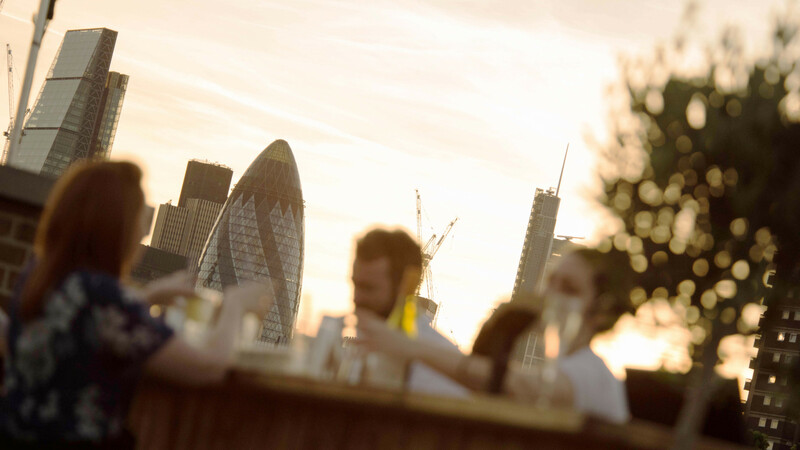 All you've got to do is head down to Coq d'Argent's terrace bar. 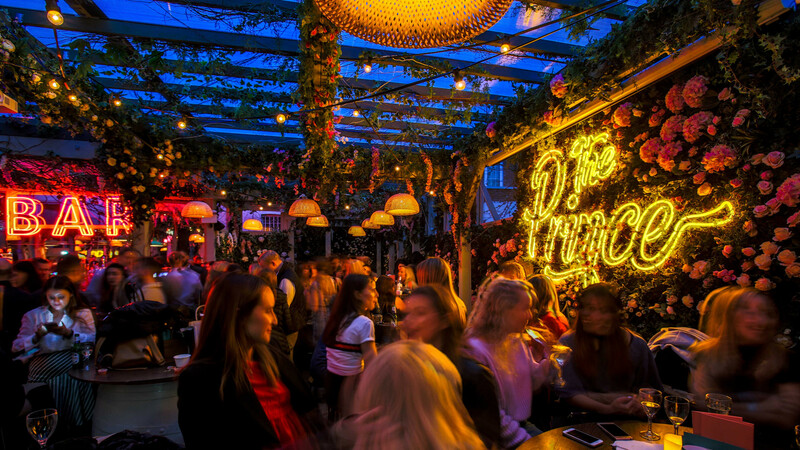 Living its past life as the old Prince of Wales pub, The Prince has undergone a royal makeover to become one of London's must-visit summer spots. 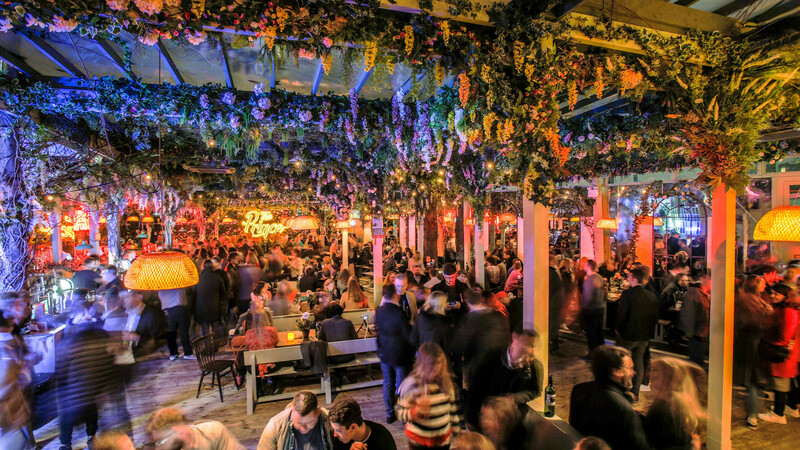 The venue is now a true food and drink mecca, providing tasty treats from the kitchens of London street food specialists Patty & Bun, Begging Bowl Canteen, Coqfighter, and Foley's. 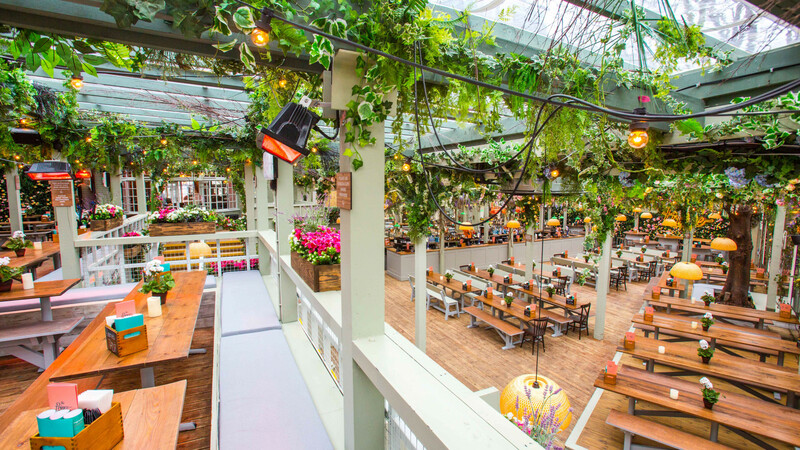 If that all-star team hasn't already got you reaching for your skirt and sunnies, the presence of The Prince's scenic summer English garden certainly will. 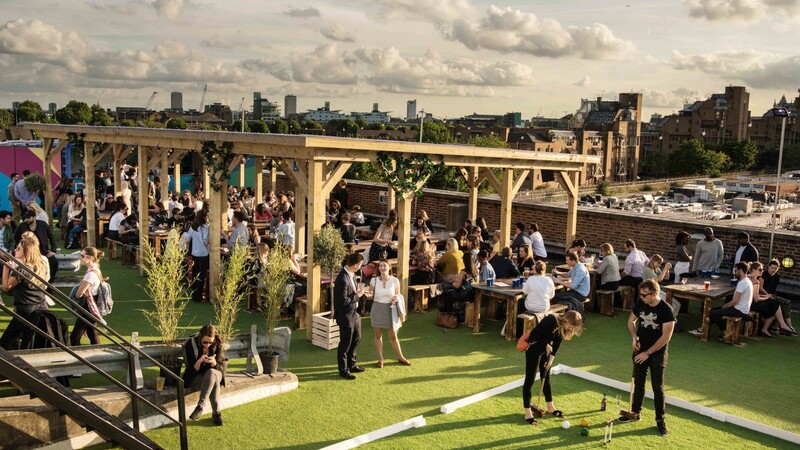 It's truly one of the coolest places in West London to enjoy the heat. 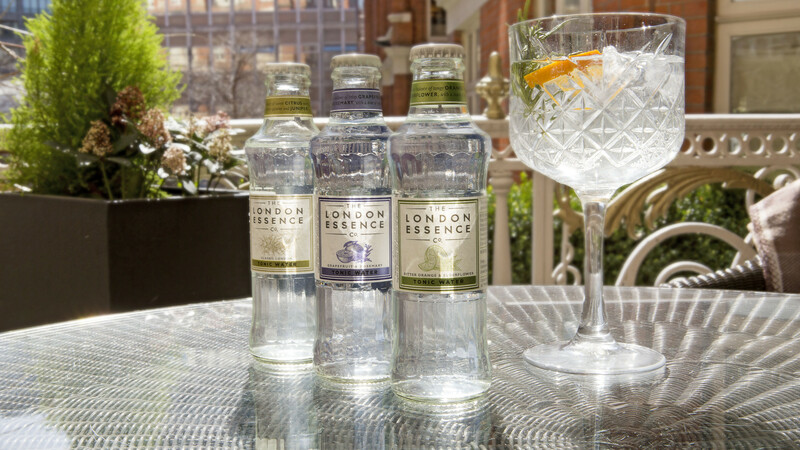 Draw up a chair at St Ermin’s Hotel’s revamped London Essence Summer Terrace, order yourself a G&T and get a true sense of place with the new bar and drinks menu. 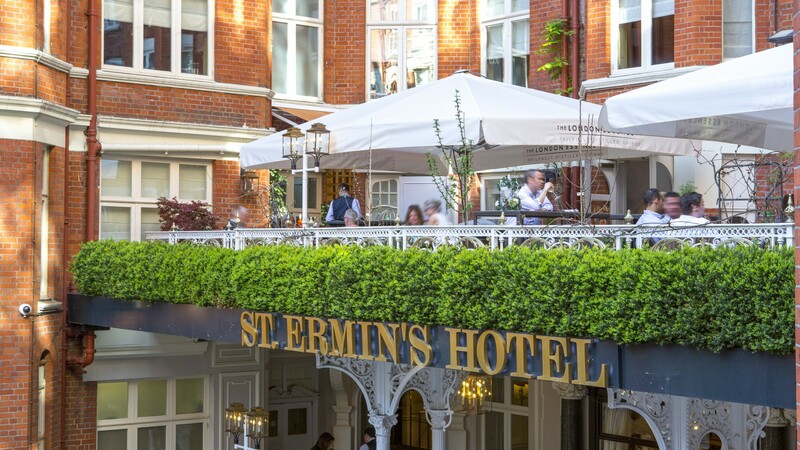 Inspired by the hotel’s rooftop garden, it uses fresh ingredients, herb garnishes and honey from the St Ermin’s bee colony.